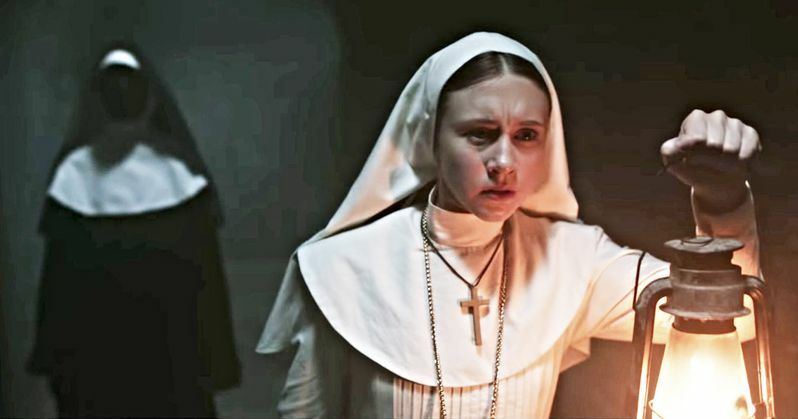 This weekend's box office saw The Nun open with $53.5 million, making it the highest debut for the Conjuring series. 2013's The Conjuring previously held the record with $41.8 million. Additionally, the horror film now holds the record for second-best opening weekend for the month of September, just behind Andres Muschietti's big screen adaptation of Stephen King's IT. This weekend's debut was enough to knock Crazy Rich Asians, which had held the number one spot for three consecutive weeks, down to the second slot after earning $13.6 million. The third position at this weekend's box office went to the debut of Jennifer Gardner's action-revenge movie Peppermint, taking in an impressive $13.2 million. Gardner had to go through an intense workout routine as well as a dietary change to perform nearly all of her stunts in the film. Jason Statham's The Meg dropped to number four this week, earning $6 million. The aquatic thriller has taken in nearly $500 million worldwide since its release last month. Searching was able to pull off the number five spot after earning $4.5 million. The John Cho-starring thriller has been getting rave reviews and was added to an additional 802 theaters this weekend and has made just over $30 million worldwide since its box office debut three weeks ago. Mission: Impossible 6 brought in $3.8 million, which put it at number six this weekend. The film has earned $726.6 million worldwide and is currently the second highest grossing installment domestically in the franchise history, just behind 2000's Mission: Impossible 2. Disney's Christopher Robin finally fell from the number six spot and ended up at number seven at this weekend's box office, earning $3.1 million. The live-action film has brought in over $142 million worldwide since opening in theaters early last month. Oscar Isaac's historical drama Operation Finale earned $3 million, which put it at number eight for the weekend. Ben Kingsley also stars in the film, and while it's getting mixed reviews, the performances from Kingsley and Isaac have been praised by critics. Historical adventure Alpha brought in $2.5 million, which was enough to earn the ninth position at this weekend's box office. The movie has taken in nearly $60 million since its debut four weeks ago. And rounding out the top ten is Spike Lee's BlacKkKlansman. The biographical comedy-drama earned $1.5 million this weekend and has taken in $65.5 million worldwide so far. The film has received some criticism from straying away from Ron Stallworth's 2014 memoir, but it has also been hailed as a strong return from Lee. You can check out the rest of this weekend's box office numbers over at Box Office Mojo.